41,09 € прибл. 2.966,23 руб. 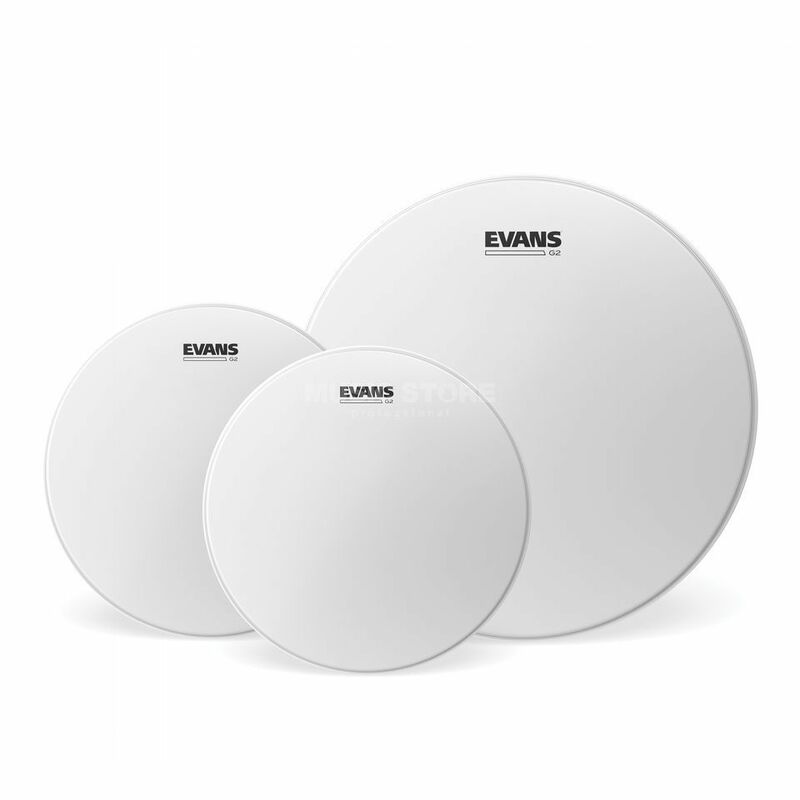 The Evans ETP-G2CTD-S Coated Drumhead Set is a 3-pack containing 12”, 13” and 16” drum skins for tom drums. Evans G2 tom batter heads feature two plies of 7mil film ensuring consistency and durability. The perfect blend of depth, sustain and attack make small toms sing and floor toms growl. The coated version delivers additional warmth, focus, and depth, plus a unique translucent appearance. All Evans heads feature the Level 360 Collar. This collar ensures a balanced contact around the bearing edge of the shell, making tuning an absolute breeze and enhancing the sound quality by allowing the head to better resonate though out your drum shell.